Not all mascara is made equal, so picking a good one is never an easy task. If you plan on going swimming, or getting ready for a long event, or you just want to look flawless at the beach, waterproof mascara is the way to go. But sometimes, even if some products are specifically advertised as being waterproof, a few drops of rain or a full day of wear can prove you wrong. So, before you want to buy waterproof mascara here’s what you need to check off your list. What makes a waterproof mascara great? There are so many waterproof mascara brands out, it’s hard to know what sets them apart. If you want to put them to a trial, the rule of thumb is finding one that doesn’t smudge. At all. No matter if there’s heavy rainfall outside or if you sat through a Netflix marathon with teary eyes, your makeup should still hold on. Second, a good waterproof mascara doesn’t flake. Even though some have a dry texture, they are not supposed to crumble and flake all over. Last but not least, it has to be easy to apply and shouldn’t clump your lashes. This, of course, applies to all mascaras, regardless of their styling properties. To get an idea of what waterproof mascara brands don’t result in raccoon eyes, here is our top 6 and several sections that will not let you down. Performance and reviews: this is the best low-end mascara you can find on the market, that won’t disappoint. 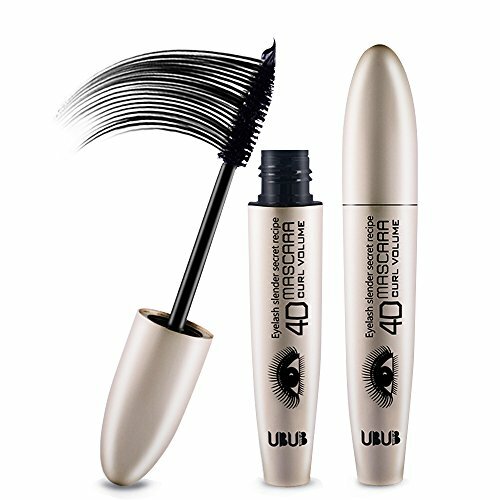 The formula allows great coating flexibility and makes lashes look longer and fuller. The application is done in two steps: first, you apply mascara with the short bristles, followed by another layer, using the long bristles. The effect is astounding; it holds up well even if you go take a swim or get caught in the rain. The main downside of this mascara is that it may be difficult to remove with plain water, and sometimes even with makeup remover, but an oil-based makeup remover will do the trick. The formula may seem too watery for some users and may clump your lashes if you overdo the coating. If you follow the application instructions, you should be just fine. Performance and reviews: the formula is guaranteed to thicken and lengthen lashes while providing intense pigmentation. It maintains lash curls after curling, without weighing them down. 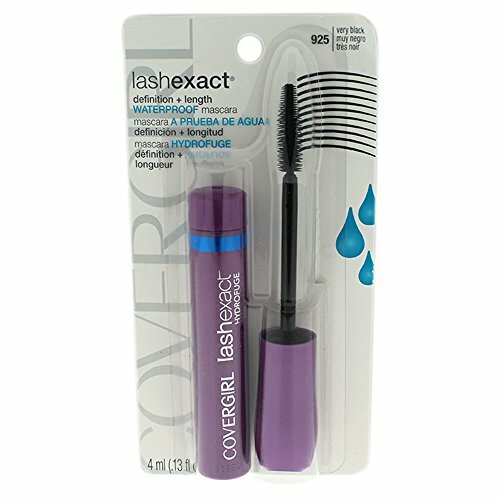 The Carbon Black color version of this waterproof mascara guarantees dark lashes that will have a huge visual impact. Defines lashes very well, separating them, and creating a fluttery look. 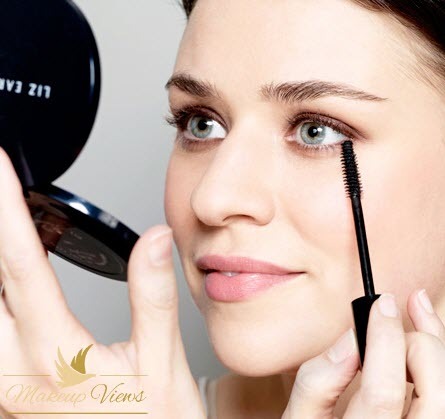 Some users found that the wand may build up too much product, and may make the mascara prone to smudging after applying. For some, the formula seemed to clump the lashes because of the large amount of product that the wand carries. Overall, if properly applied, the mascara lasts all day and doesn’t crumble. Performance and reviews: this product is the best pick if you’re looking for a more natural tone that maintains well throughout the day. 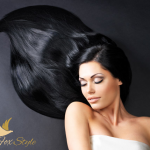 It comes in dark brown shades for a softer, more natural look. The formula is buildable, making it easy to create a more dramatic look through layered application, without the fear of experiencing fallouts and smudging. 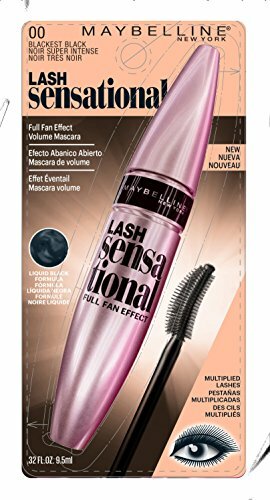 The formula is quite light and doesn’t clump the lashes. It’s suitable for sensitive eyes, as well as oily skin, as it doesn’t irritate the eye area. Some users experienced a quirky smell and some seemed to have an unpleasant experience using it since there are some dupes out there that look virtually the same, so make sure you’re buying the product from trusted sources. Performance and reviews: if you want a bold Hollywood look, that will turn heads, then the choice has been made for you This special formula is similar to 3D mascaras, but without the hassle of applying two separate products. By applying one coat, your lashes will look longer and fuller. As a special bonus, the formula allows you to build up layers to intensify the look, without weighing down your lashes. Suitable for sensitive eyes, this mascara will also pass the time test. After 12 hours of use, your lashes will look the same as when you just applied it. Despite these, when in full contact with water, the mascara comes off quite easily, so it’s not suitable for swimming. Performance and reviews: unlike other waterproof mascaras, this mascara is easy to remove with makeup remover, helping you avoid putting too much pressure or scrubbing the eye area every evening. Despite this, the formula lasts all day and doesn’t wear off when worn all day or in the presence of water. This mascara also makes your lashes look longer and fuller without irritating your eyes, and without clumping your lashes. In spite of this, some may find the formula of the mascara too thick. Also, for some, the formula may seem to dry out too fast. Other than that, this waterproof mascara will not budge until you want it to, providing length and volume to lashes. Performance and reviews: if you’re on a tight budget, Maybelline Great Waterproof Mascaracan come in handy if you’re looking to get longer and fuller lashes. This drugstore waterproof mascara is all you need to get ready for a long day without having to worry about fallouts, smudging and smearing. The brush applicator doesn’t clump the lashes and doesn’t overcoat them with mascara so you get to evenly cover all lashes as well as separating them. After you apply it, there’s no need to do any retouching during the day. The great thing about this waterproof mascara it’s that it’s been on the market for several decades and yet remains as relevant as ever. There some downsides, as with any product, of course. Some may find the brush not good enough for applying mascara evenly or it may seem chunky on the lashes. The smell is not the most natural one either. 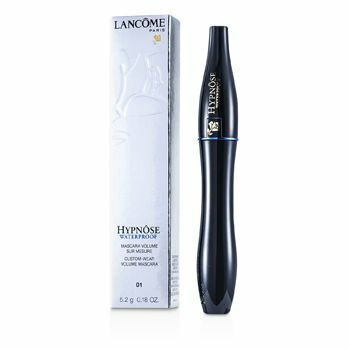 Performance and reviews: despite the price, Lancome Hypnose No. 01 Hypnotic Waterproof promises to do it all. It’s smudge proof and water proof, making it perfect for swimming and other water related activities to guarantee you a perfect look throughout the day. Despite this, some users experienced small amounts of fallouts, but, the bright side is that it comes off easily without scrubbing and other practices that may damage your lashes. After curling, this mascara can also hold up the curls for a very dramatic effect. However, there are some downsides. For instance, some may feel their lashes rather stiff and also clumpy. Other than that, this product is the definition of waterproof and lasts all day. Performance and reviews: this waterproof mascara does do its job. It buildable so you can get a false lash effect for a more defined look. The brush bristles assure complete coverage for a fuller lash effect. 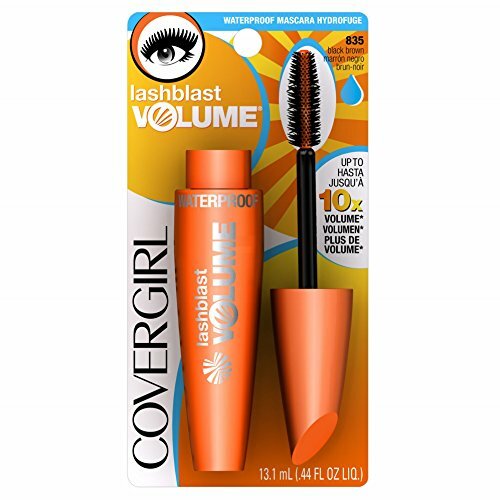 Covergirl LashBlast not only can withstand the presence of water but also maintains the curve of the lashes throughout the day. In addition, it doesn’t budge off when scrubbing so you don’t have to worry about getting raccoon eyes during emotional moments. On top of that, the quality is comparable to high-end mascaras, so you get the same high-end quality at an affordable price. What more could you wish for? Despite all these benefits, if you wear contact lenses, you may irritate since the formula dries and may flake, but not noticeably. 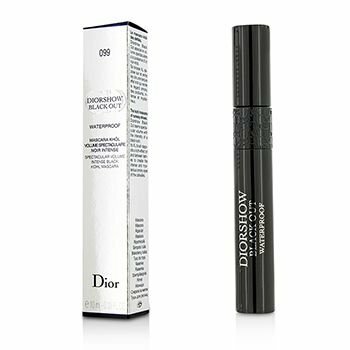 Performance and reviews: Diorshow blackout waterproof mascara brand is one of those high-end brands that will not let you down. It’s easy to apply and doesn’t clump. And as far as its waterproof properties go, it passes all tests and trials. You can shower and it won’t budge unless you use soap to remove them, making it a great pick for all sports addicts. In addition, you can create a smoky eye effect by applying it on the lid and gently smudging it. On the less positive side, if you like layering you may feel that the formula may weigh down the lashes. Also, if you curl your lashes and want to make sure your lashes stay in place all day, this mascara may not be able to keep up with that kind of demand. Despite this, the mascara is easy to remove with makeup remover so you don’t have to intensely rub your lashes. Performance and reviews: there are some waterproof mascaras that are quite stubborn and don’t want to come off just by simply washing your lashes with water and soap. And it’s even more difficult to remove makeup when you’re on the road or at the gym using conventional makeup removers since it’s quite a hassle to carry so many beauty products with you. The best alternative to conventional makeup removers, especially for waterproof mascara is a simple pack of makeup remover wipes. 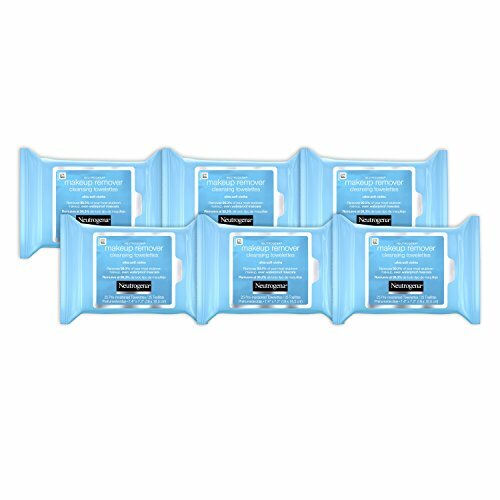 Neutrogena makeup remover cleansing towels and wipes guarantee to remove all kinds of waterproof mascaras and more. They also provide nourishment to lashes and skin. The formula easily removes makeup without excessive rubbing to minimize irritation. You can use them at home, at the office, gym, on the road, it’s that easy. Unlike other makeup removers, these wipes don’t leave any unpleasant residues. Also, they work great with any skin type and are hypoallergenic too. Despite this, some found that only a single wipe is not enough to remove all makeup, but other than that, this product is guaranteed to be the best.